Goddess Lakshmi is the Hindu goddess that bestows wealth and prosperity on her followers. Chanting a mantra that is dedicated to Goddess Lakshmi helps in bringing in good luck, wealth and fortune. A mantra is a collection of sounds or words that creates a vibration or an aura that attracts the desired effects from the universal energy. 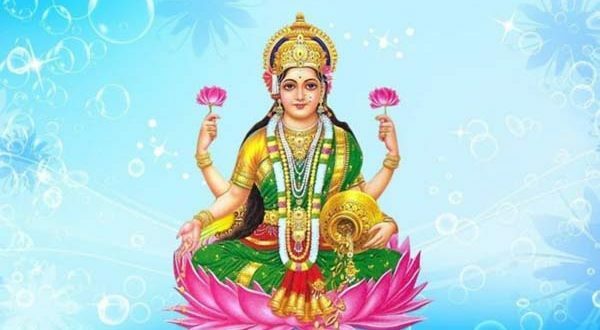 The mantras dedicated to Goddess Lakshmi are no exception to this definition. If anything, they are counted among the most powerful of mantras for getting money, wealth and fame. Once you start to chant the Lakshmi mantras, the energy of the Lakshmi mantra will align with you. Once this happens, you will be blessed with a never-ending flow of money and good fortune. Therefore your concentration and devotion is the key to get rewards of this mantra. There are many types of Mantra. You just need to see which mantra you are most comfortable with. There are many Lakshmi mantras and all are equally powerful. Given below are the list of the most powerful Lakshmi mantras. Each of these Lakshmi mantra create special vibration and aura. Each of them brings in luck, wealth and prosperity to the devote. This Lakshmi mantra should start on a Friday during the period of Shukal Paksha. Diwali is also a good day to start chanting the Lakshmi mantra. You should do this mantra minimum 1 Mala Jaap and do it for 21 consecutive days. If you miss any day you need to do the whole procedure again. This is a beej mantra. This mantra encourages the destruction of worries and fills your home with wealth. Translation of the above mantra- We bow to you O Goddess Lakshmi who is the shree and who is the wife of Vishnu. Please bless us with intellect, fortune and prosperity. Translation of the above mantra- O Goddess Maha Lakshmi, please destroy all evil and bless us with a bright and prosperous future. Nicely Written Article on Hindu Mantra. Please let me know how to chant it to Attract Money and Wealth.